McCain Institute invites mid-career professionals to apply for a fully funded professional development program that empowers emerging global leaders through the McCain Institute’s tailored professional development experience. The program offers a unique blend of professional development, exposure to top-level policymakers and formal training in leadership. At four junctures throughout the year, the program provides hands-on training focused on values, ethics and leadership, media and communications skills; and best practice examples of American business, political and civic life. A key aspect of the program is each NGL’s preparation of an individual Leadership Action Plan. Aimed at defining the tangible steps and actions the NGLs will take to bring about positive change in their home communities, the Leadership Action Plan becomes the central project of the development year. The program is year-long and begins in early September and runs through the end of August of the following calendar year. Participants are expected to be in the United States for the entire program year and attend all four leadership development modules along with contributing at their placement organizations to gain the full NGL experience. The NGL Program does not accept full-time students or full-time academics. A stipend covering expenses such as rent, utilities, food and any other regular costs. Travel to and from leadership training modules. Health insurance and workers comp. The McCain Institute for International Leadership at Arizona State University is dedicated to advancing character-driven global leadership based on security, economic opportunity, freedom and human dignity. 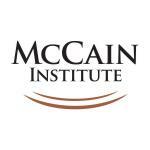 The McCain Institute is committed to: sustaining America’s global leadership; upholding freedom, democracy and human rights as universal human values; supporting humanitarian goals; maintaining a strong, smart national defense; and serving causes greater than one’s self-interest. See more residencies on For9a's website.